In the spring of 2016, Leeum, Samsung Museum of Art will be presenting ARTSPECTRUM 2016. ARTSPECTRUM is a biennial exhibition that aims to discover and promote emerging artists working in Korea, and this year marks its sixth edition. A selection committee of Leeum’s modern and contemporary art curators as well as critics and curators from outside the institution came together to select ten artists/groups whose works represent the current state of contemporary art in Korea. In order to encourage an artist who shows great potential, the ARTSPECTURUM Award will be given to one artist/group after the exhibition opens. 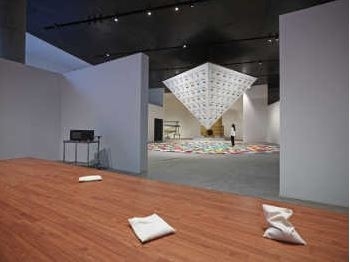 The exhibition includes artists Young Eun Kim, Kelvin Kyung Kun Park, Minha Park, Jungki Beak, Dong-il An, Okin Collective, Optical Race, Hoin Lee, Jane Jin Kaisen, and Haeri Choi. These artists work in a variety of media ranging from painting, photography, video and sound, and shed light on such characteristic aspects of the Korean society as the division of the two Koreas, modernization, rapid economic growth and the concerns of the current generation of echo boomers or delve into elusive notions of the past and the future. Visitors to this exhibition will enjoy an opportunity to witness the innovative and resolute efforts of rising young artists.